Being charged with driving under the influence is a serious matter in Maryland. Maryland prosecutors aggressively pursue DUI/DWI cases in our state. If you are convicted of drunk driving, you could face serious penalties, including jail time, fines, loss of driving privileges, alcohol treatment programs, and probation. One of the most common ways an officer determines whether a driver is impaired is by performing Standardized Field Sobriety Tests (SFST). Attorney Jason Plotkin of Pinder Plotkin LLC treats DUI cases very seriously. Attorney Plotkin attended the three-day SFST training seminar offered by the Maryland Association for Justice. He is qualified in the National Highway Traffic Safety Administration (NHTSA) Standardized Field Sobriety Test (SFST) training program. Attorney Plotkin uses the information he learned to aggressively defend his clients who are charged with DUI in Maryland. The NHTSA helped develop the three Standardized Field Sobriety Tests (SFST) that are used by officers in Maryland and throughout the country to determine if a driver is intoxicated or impaired. The tests are designed to be performed roadside after a driver is pulled over for suspicion of driving under the influence. An officer, trained in the standardized manner for administering the tests, administers the tests to the driver and uses his observations as a factor in deciding whether to arrest the driver for DUI. Nystagmus is an involuntary movement of the eye when you change the direction of your gaze from side to side at a specific angle. The “jerking” motion or nystagmus becomes more noticeable after a person consumes alcohol. Therefore, an officer who is trained properly should be able to detect the movement when performing the test correctly. Some people may refer to the HGN test as the DUI pen test because an officer uses a pen, flashlight, or another stimulus to test the movement of the driver’s eyes to detect nystagmus. The officer moves the pen from side to side about 12 to 15 inches from your face. He observes your eyes to see if your eyes follow the pen smoothly; if the jerking motion becomes pronounced; and, if the jerking begins within 45 degrees of the center of your eye. When defending the results of an HGN test, a DUI attorney investigates the officer to determine if he or she received proper training. If the test is administered incorrectly, the results could be invalid. Also, several medical conditions could cause a driver to display signs of nystagmus without consuming any alcohol. Furthermore, if the test is performed on a busy road with cars coming toward the driver with their headlights on, it could cause the test to be inaccurate. This test must also be administered exactly as the training guide advises or the results could be inaccurate. For example, the test must be administered on a level, dry, solid surface. Performing the test on the shoulder of a road which is covered in gravel might invalidate the test because the gravel could make it difficult for a sober person to perform the test accurately. In addition, many medical conditions may impair a person’s balance, but not impair the person’s ability to drive a vehicle safely. The officer will direct the driver to stand with one foot lifted six inches off the surface while counting to 30. The driver must have his arms at his sides while counting. The officer is watching for signs of impairment, including swaying, dropping the foot, hopping, or raising arms to maintain balance. This SFST test is a very common roadside sobriety test used by law enforcement officers. The officer instructs the driver to take nine steps, stop, pivot, and take nine steps back to the beginning point. The driver must count the steps out loud during the test, walk in a straight line, and put his feet heel-to-toe while walking. Any deviation, stumbling, stopping to regain balance, problems with counting, taking the incorrect number of steps, raising arms for balance, turning incorrectly, or beginning before instructed to do so can be an indication of intoxication. If the officer witnesses two or more signs, he will likely arrest the driver for DUI. Again, the walk-and-turn test is highly subjective just like the other SFST. A medical condition or certain medication could impair balance without impairing the driver’s ability to operate the vehicle safely. Uneven pavement and the stress of being pulled over could be factors in a poor result. 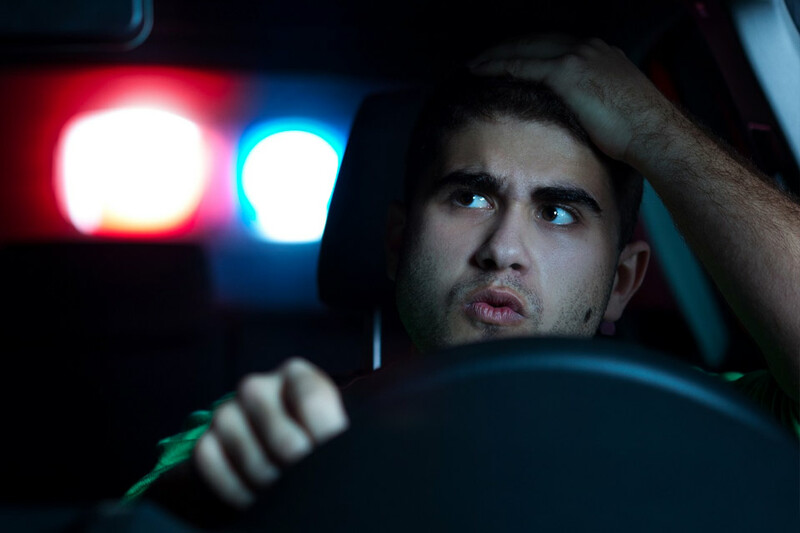 Being charged with DUI in Maryland based on the results of the SFST and nothing more is highly suspect, especially if the officer did not have the proper training to perform the tests. A DUI criminal defense attorney can attack the results of the tests based on several factors. It is worth your time to consult with a Maryland DUI attorney to discuss whether your drunk driving charges can be reduced or dismissed based on faulty and incorrect results of field sobriety tests. Contact Pinder Plotkin LLC by calling 410-661-9440 to discuss your DUI arrest with a Parkville criminal defense attorney.